Any honest assessment of the Liberal government’s record must confront its decision to balance the budget as quickly as possible, at any cost. Earlier this week, in the downtown Montreal studios of TVA, representatives from the four major parties hashed out their differences on a series of economic issues. Not surprisingly Carlos Leitão, the Liberal finance minister, found himself in the middle of the dust-up. The debate was barely five minutes old when all sides began to demand answers for the "austerity" budgets he tabled in the first two years of the government's mandate, which featured deep cuts to health and education. "We did what we did because we had to do it," Leitão replied. His answer recalled Margaret Thatcher's line that "there is no alternative," which she repeated so often while rolling back the British welfare state in her heyday as the British prime minister in the 1980s that her opponents started calling her TINA. Whatever his critics may claim, Leitão is no laissez-faire liberal, at least not publicly. Asked in a recent interview with CBC News to name his favourite economists, he mentioned John Maynard Keynes, the great deficit apologist, and former Obama adviser Larry Summers. But by claiming to have had no choice, Leitão was appealing to the same political logic relied on by Thatcher: you can't blame us. You would have done the same. There was, of course, an option. And any honest assessment of the Liberal government's record must confront its decision to balance the budget as quickly as possible and at whatever the cost. Back in 2014, the Habs were still playing hockey in the spring, and the Quebec government was still posting deficits. Sure, the hawks at the credit-rating agencies were circling, but the reigning assumption was that the budget would be balanced by 2015. 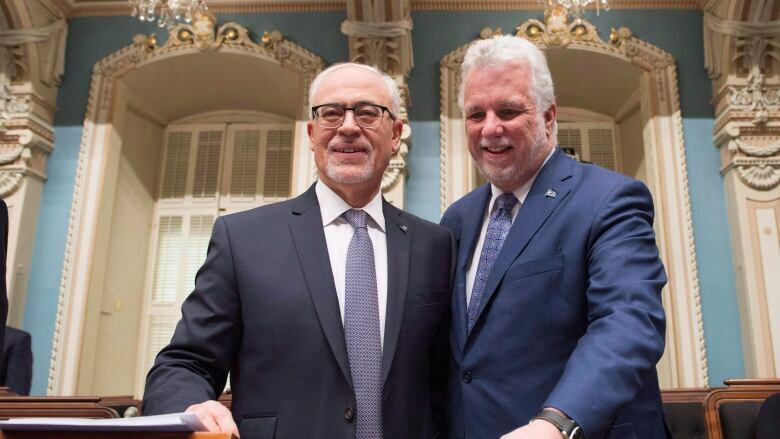 As Leitão began to prepare his first financial plan after the Liberals' April election, it emerged the deficit was likely closer to $6 billion than the $1.75-billion figure circulated by the previous PQ government. That left Leitão with two options: A) trim expenses slowly, raise revenues gradually and push back the timeline for killing the deficit, or B) cut deeply, raise taxes and meet the 2015 timeline. Leitão chose B. He believed the rating agencies would be spooked by the delayed return to a balanced budget and lower the province's credit rating. "If we were downgraded from where we were in 2014, the risk was that a lot of institutional investors would no longer have been able to buy our debt. And then our debt-servicing costs would have increased a lot," Leitão told CBC. Leitão did manage to balance the budget in 2015, Quebec's first zero-deficit spending plan since the 2008 financial crisis. 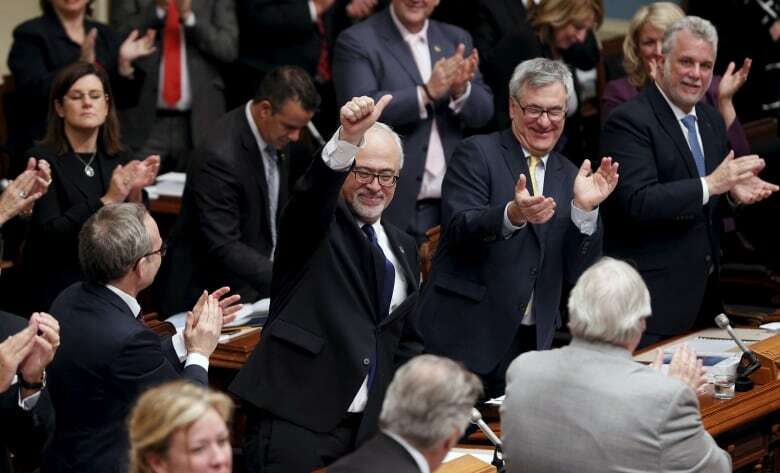 And several outgoing cabinet ministers listed that budget, and Quebec's public finances in general, as the defining achievement of Philippe Couillard's government. But by making that the priority, the Liberals had to ice another central promise they had made on the campaign trail: to maintain the annual funding increases for health and education at four per cent and 3.5 per cent, respectively. In the 2015 budget, health saw its funding go up just 1.4 per cent and education a negligible 0.2 per cent. By failing to keep pace with inflation (estimated around four per cent), services had to be cut. 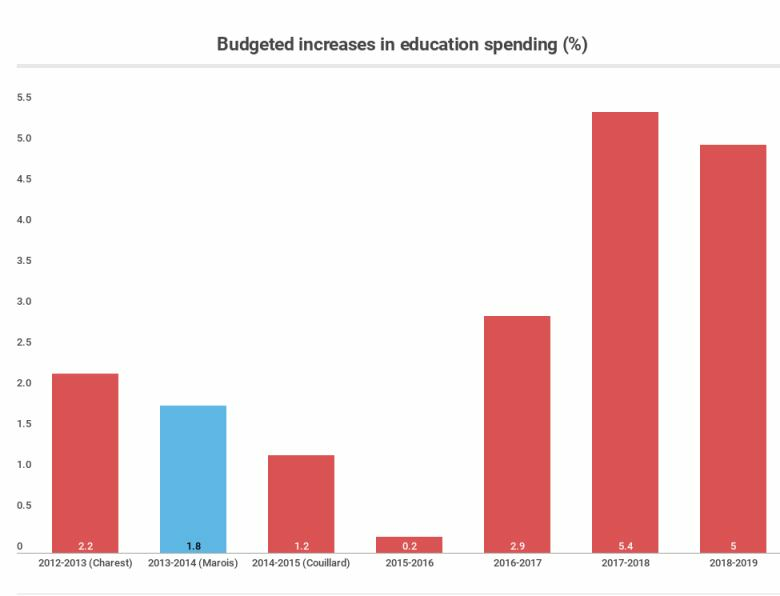 With so little money going into its two biggest spending areas, the government was also effectively unable to make much progress on many of the other health and education reforms the Liberals had promised during the campaign. 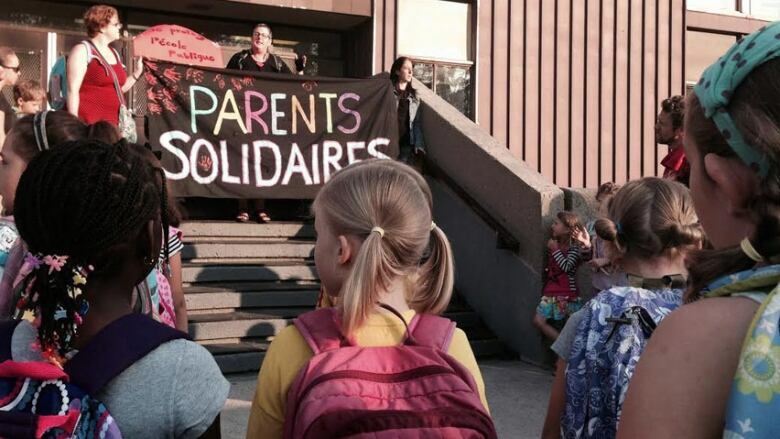 A study by a research team at Université Laval found that between 2014 and 2016, there was zero movement on about half the 28 commitments the Liberals made on education, such as drafting a plan to deal with Quebec's high dropout rate. At the Ministry of Health, the tighter budgets coincided with Minister Gaétan Barrette's decision to remove whole layers of bureaucracy. That only furthered the administrative disarray caused by the cuts. "I've been working in this field for 40 years, and I've seen reforms," Paul Lamarche, a former deputy health minister, told Radio-Canada recently. "This is the most scatterbrained, and certainly the one it will take the longest to recover from." By the time the Liberals began to plow money back into public services, thanks in part to strong economic growth, their popularity rating had already taken a hit. Bureaucracies, moreover, are big, slow-moving machines. It can take months, if not longer, for the benefits of reinvestments and reorientations to be noticed by the public. By hitting the pause button on new money for half their mandate, the Liberals narrowed the window they had to make improvements to health and education. Couillard is now fighting for his political life — down in the polls, two weeks from election day. 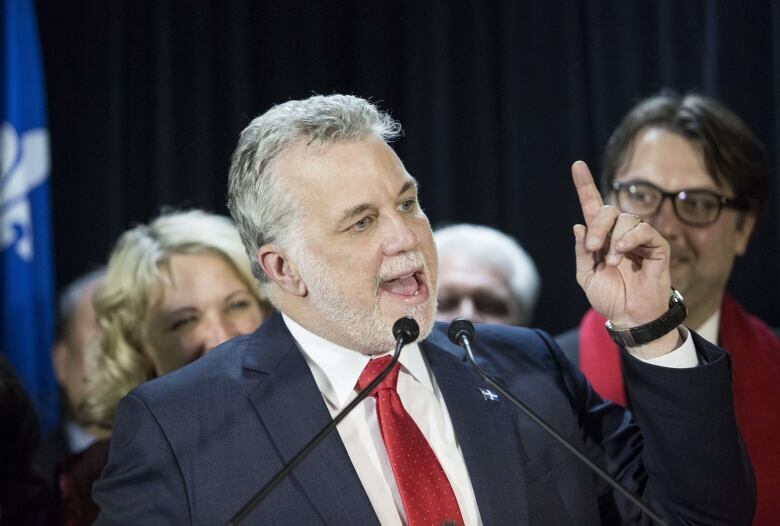 And he finds himself in that position, in part, because he misjudged the urgency with which Quebecers were demanding reforms in those two priority areas. What if Leitão had chosen option A, a slower return to zero-deficit and fewer spending cuts? 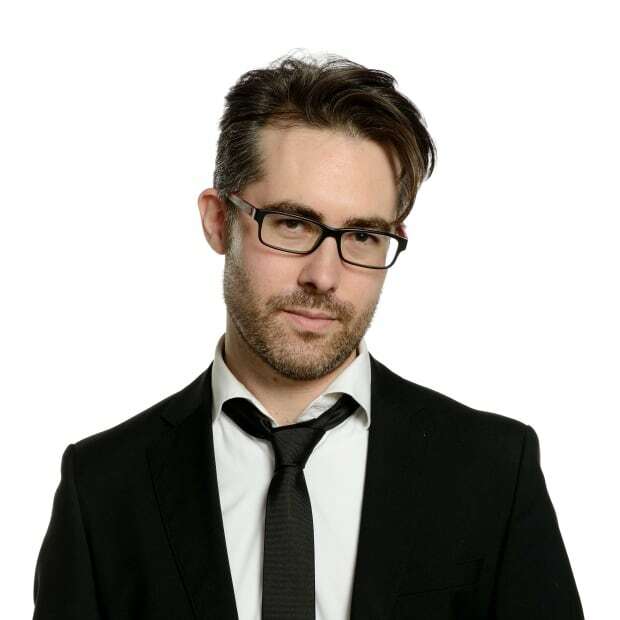 In a recent publication,UQAM economist Pierre Fortin speculated Leitao's austerity budgets (his word) sucked enough money out of the economy to delay Quebec's expansion in 2014-2015, kicking unemployment 0.8 percentage points higher than it would have otherwise been. A more concrete example of Option A exists in Alberta. There, too, a government came to power staring hefty deficits in the face, thanks to an economic downturn. 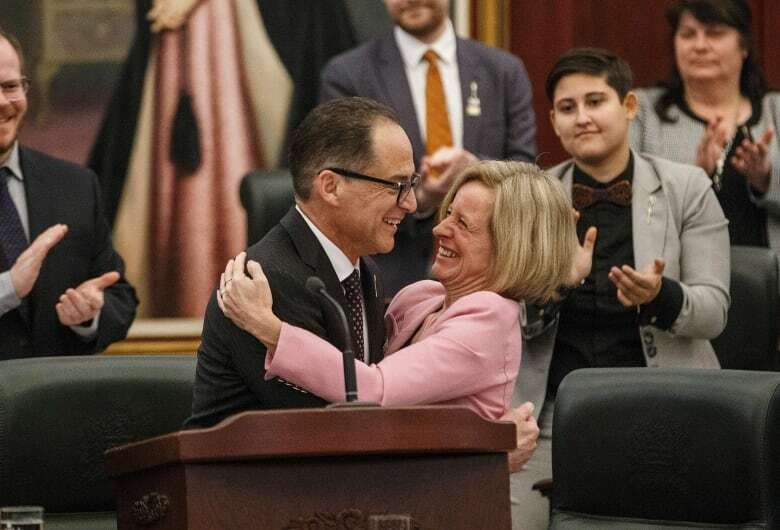 Unlike the Quebec Liberals, however, Premier Rachel Notley's NDP government opted not to rush to balance the budget, and so health and education have largely been spared deep cuts. Notley's government maintains its deficit spending spurred a quicker recovery. GDP growth is forecast at 2.7 per cent this year. But it remains unclear when, and how, it will get rid of the deficit. And as a result the province has been hit by a series of credit downgrades. Debt costs have risen sharply. "Our government had a choice," Alberta Finance Minister Joe Ceci said last year. "Had we made deep cuts that might have satisfied some bond raters, it would have resulted in a much deeper and longer recession." Let's chalk up Leitão's invocation of TINA to a bit of campaign rhetoric. Just like his Alberta counterpart, he had options. The question is whether voters believe Leitão settled on the right one. Following the initial publication of this article, economist Pierre Fortin contacted CBC News to clarify that his estimate of the effect of the Liberals' austerity budgets included capital expenditures and therefore takes into account infrastructure investments. We have added a line to reflect that.